Double Tulip Delight is a painting by Laura Heggestad which was uploaded on January 15th, 2010. I have so much fun with floral paintings. In such a small physical entity there's just so much to see. Past a quick, initial scan, no two are completely identical. 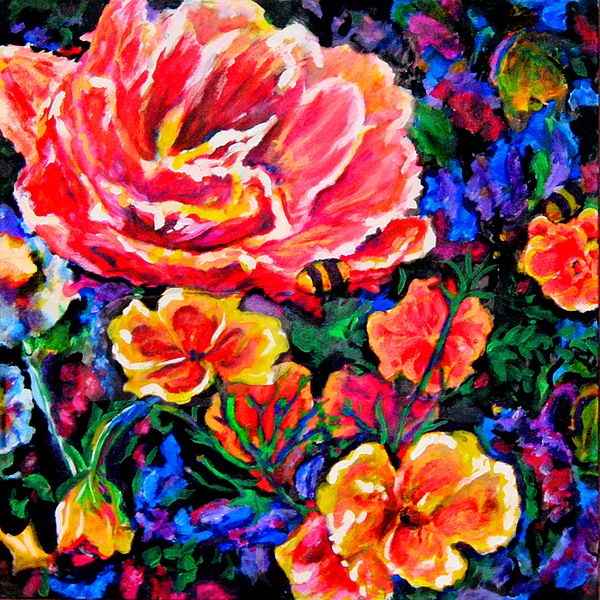 Floral paintings also give me a chance to use lots and lots of color (one of the great loves of my life). Let me know if you'd like the original. Laura, you really know how to make your colors sing! Love it! Thank you, Norma, I have been so delighted with the warm welcome from people who are so kind, like you, to take the time to let me know you like one or another artwork. I've only gotten started on Fine Art America's amazing site yesterday. Thank you so much for sharing your thoughts and your time! Laura, I like your vibrant colors, very eye catching.